About us If you have any questions, please click "Inquiry" Thank you! If you have any questions, please click "Inquiry" Thank you! partners Contact us If you have any questions, please click "Inquiry" Thank you! 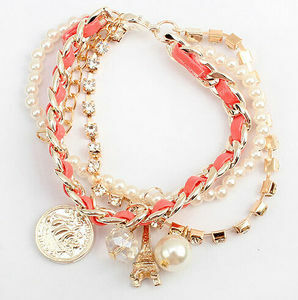 1 YRS Yiwu Heyi Jewelry Co., Ltd.
fashion leather cord wrap bow braided plastic pearls beaded handmade bracelet 1.description:bracelet 2.model number: B6118189 3.bracelet material:alloy,plastic pearls,metal chain,tape 4.bracelet plating colour: golden 5.MOQ: 360 PCS 6.packing: each packing with 1 card and 1 opp bag 7.Payment terms: T/T 30% deposit before production and balance before delivery or or against by B/L if sea shipment 8.size: 20*0.6cm 9.weight: 15.9g The products could be sent out by air or by sea or by express(like UPS, TNT,DHL,FEDEX,EMS, and so on) At the same time, we can produce the products according to your customer&rsquo; design and sample. If there is any style be of your interested,welcome to contact with us,I&rsquo;m sure you will be satified with our quality,price and service. 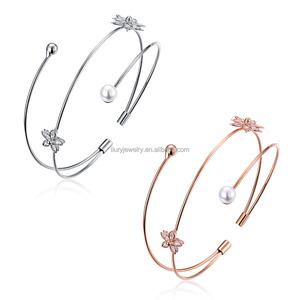 7 YRS Yiwu Deelun Jewelry Co., Ltd.
gold infinity bracelet 7. Delivery time:for the desingers of our mould,in usual,we could finish them within 15 working days. Earrings with earrings or bracelet with earrings or necklace with earrings or necklace bracelet earrings and so on. you just supply us the images is ok,our designers will do the craft images for your checking according to your images! 3 YRS Guangzhou Hydia Jewelry Co., Ltd.
, Ltd, who are professional in various fashion accessories, especially in Fashion Jewelry, Costume Jewellery, Wedding Jewelry, Handmade Jewelry and Hair Ornaments. Shipment: for small order: by DHL, Fedex, EMS, Special line, etc the tracking number will be advised after shipping for mass order: by Air or Sea Payment information: Small amount: by Paypal, Alipay, T/T , Western Union Big deposit paid before production and the balance paid before shipment. 5. All of products are well designed , they are leading the latest fashion of the world and we release new products every week. 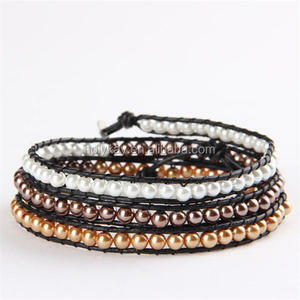 1 YRS Yiwu Keyao Import And Export Co., Ltd.
Alibaba.com offers 923 alloy wrap pearl products. 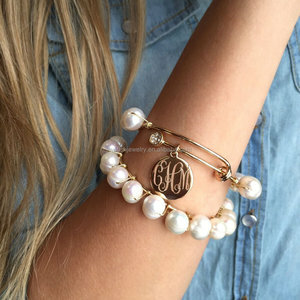 About 21% of these are zinc alloy jewelry, 13% are pearl jewelry, and 5% are copper alloy jewelry. A wide variety of alloy wrap pearl options are available to you, such as free samples, paid samples. There are 923 alloy wrap pearl suppliers, mainly located in Asia. The top supplying country is China (Mainland), which supply 100% of alloy wrap pearl respectively. Alloy wrap pearl products are most popular in North America, Western Europe, and Southeast Asia. You can ensure product safety by selecting from certified suppliers, including 321 with ISO9001, 223 with ISO14001, and 34 with Other certification.